For their third official instalment in the Dracula series, following the first film in 1931 and the weak cash-in of Dracula’s Daughter (1936), Universal stretched the tendrils of implausibility even further with Son of Dracula released in 1943. 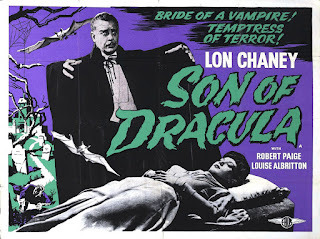 The first sequel at least had the benefit of Gloria Holden’s ethereally strange Countess Zaleska to offset its tenous link to Lugosi’s original. For this follow-on, the studio plugged in Lon Chaney (Jr) as part of his unique but ill-conceived run inhabiting every other famous Universal creature aside from The Wolf Man (1941). The experiment had so far proved a wasted series of opportunities in roles ill-befitting the qualities or leading status he had demonstrated for himself as their sole werewolf actor. 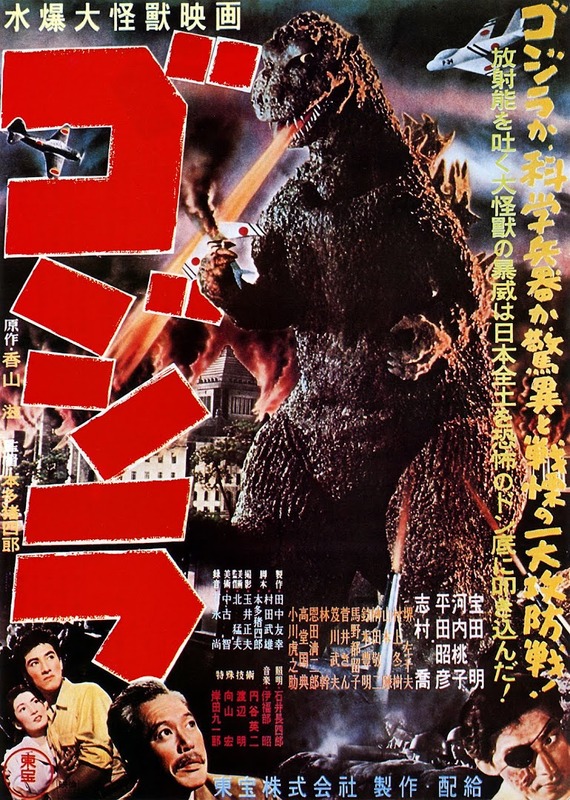 His monster in The Ghost of Frankenstein (1942) only made use of his physical size; lumbering around under bandages in The Mummy’s Tomb (1942) could have been any big contract player, except that it kept his name above the title on the poster. Only his return to lyncanthropy in Frankenstein Meets the Wolf Man (1943) reminded audiences of the wounded vulnerability he could bring to his signature horror part of Larry Talbot. 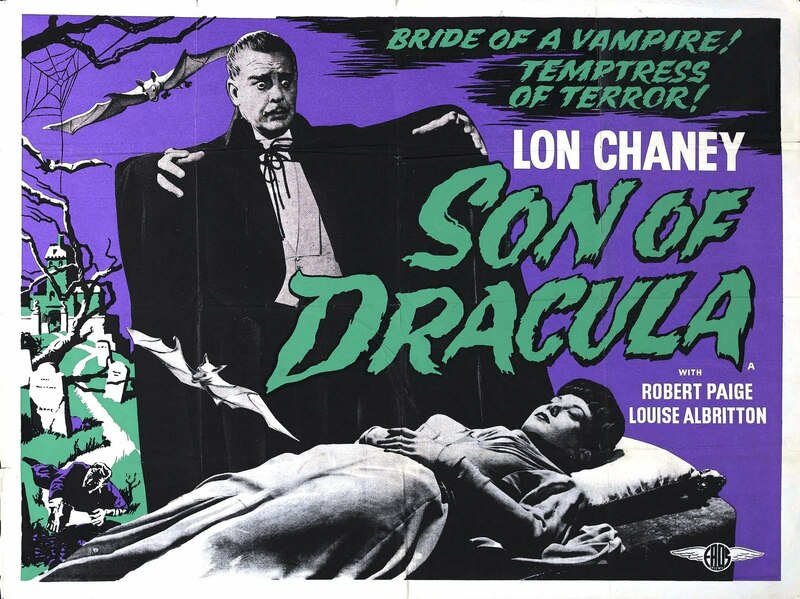 Son of Dracula (1943) completed Chaney’s tour of duty now covering all four of the legendary icons, yet for my money is the most unsuitable of all. Chaney did not have the natural, aristocratic imperiousness of Bela Lugosi, which the Hungarian star could channel effortlessly as the Prince of Darkness (and in many other later roles). Instead, he comes across as wooden as the stake he fears under the direction of Robert Siodmak, whose brother Curt (The Wolf Man) Siodmak created the story for this film. The story attempts to create intrigue by bringing the undead Count Alucard (do you see what they did there?) to America for once, with a set of luggage whose semordnilap name is immediately picked up on by Frank Craven’s Dr Brewster. Craven incidentally achieved theatre and film fame as the Stage Manager in Thornton Wilder’s classic American play Our Town in 1938. Here, he gives shrewd busybody wiliness from the start by being suspicious of the foreigner even before we meet him. Accompanying him is Frank Stanley (Robert Paige) who is just as wary of the mysterious nobleman since he seems to have an unholy influence upon Stanley’s fiancé Kay even from afar. 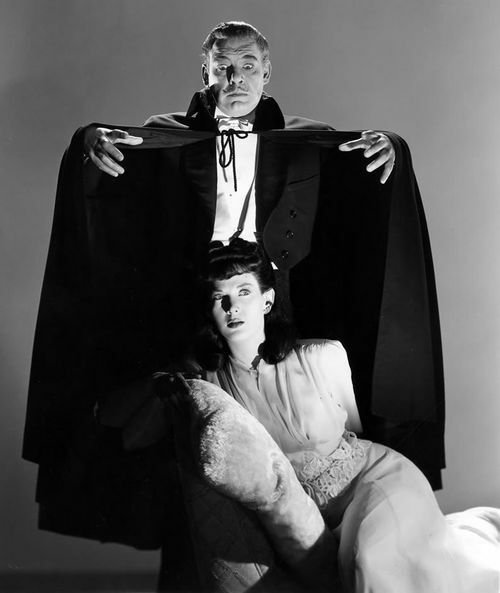 Kay (Louise Allbritton) is one of two daughters to Colonel Caldwell (George Irving) and stands to inherit his estate along with her sister Claire (Evelyn Ankers in her third Lon Chaney vehicle after The Wolf Man and The Ghost of Frankenstein during a run of many horror films for Universal). Kay is a morbid soul who appears an easy mark for the undead-related, having already brought back from Hungary an occultist called Queen Zimba. The old lady pays her way by warning Kay with deathly simplicity: “I see you marrying a corpse...living in a grave”. (Incidentally, the elderly Adeline DeWalt Reynolds who plays Zimba must have set a record for advanced age film debuts as she was 79 when cast as James Stewart’s grandmother in 1941’s Come Live with Me). The queen promptly loses her throne courtesy of that herald of the supernaturally abysmal, a dodgy rubber bat. Kay also has an unhealthy interest in taking full ownership of Dark Oaks, the family’s gothically-named New Orleans plantation. She achieves this via a previously-secret second will leaving it to her, that comes to light with unfortunate haste when the Colonel dies of petrified heart failure mysteriously soon after the Count’s arrival. Our first glimpse of Chaney’s Alucard is unintentionally amusing. He surveys the dancing guests earlier that evening, then offers a sly look seemingly at us over his shoulder. What this is meant to convey escapes me, but if there is actorly regret in there, it is too late. Chaney’s performance throughout is bereft of vampire fangs and any real bite at all. All that Emmy Eckhardt and Jack P Pierce can do is give him a hair and moustache combination aiming perhaps for seasoned elegance, instead suggesting Rhett Butler at a Halloween party . Chaney’s well-fed, stout labourer’s build is of no help however in conveying the cadaverousness of a desperate bloodsucker. Nor does his accent aid him, consisting of plain American spoken without contractions. This only makes Eric Taylor’s hokey dialogue sound worse: “The soil is red with the blood of a hundred races” he tells Kay. “There is no life there”. There is little here either for Dracula fans. The lineage alone is confusing. Brewster enlists the help of Hungarian genealogy expert Professor Lazlo (genuine Austro-Hungarian J. Edward Bromberg), who partly clarifies that Count Dracula died out in the nineteenth-century, which tallies with the Stoker novel, then speculates that he may be a descendant, but questions the sense if he was to be an imposter since all Hungarians know the family name as “only associated with evil”. Later on, Kay will add to the mystery by telling Frank that Alucard actually is Dracula. Whoever he is, this creature is a menace who although unable to appear comfortable in human acting form, can assume the shape of the aforementioned winged mouse and wisps of spectral smoke. The effects work is effective when portraying vampiric vapours, less so when called upon to handle the transformation from bat to man. This is shown simply by a jump-cut from suspended rubber air-rodent to Chaney. One notable element is Hans J. Salter’s reedy organ cues underscoring Alucard’s scenes. These foreshadow the distinctive soundtracks of Fifties science-fiction horrors. Kay and the Count marry with obscene clandestine haste, the news of which Frank takes less than well by shooting Alucard. Not understanding his newly-spliced nemesis, he is mortified to discover the bullet passes right through Alucard and kills Kay. To make matters worse, he must endure a swamp chase pursued by the flapping bat. The demands of the role are tough all round on Robert Paige, a capable B-movie lead who continually goes up the meter into over-wrought melodrama in trying to either convince Kay of his rightfulness for her, or the authorities of Alucard’s wrongfulness. 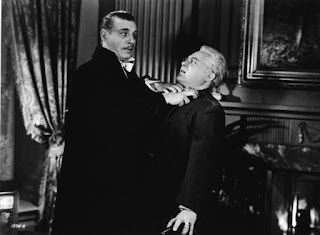 Whilst Dr Brewster is inclined toward a suspicious curiosity, it takes the arrival of the expert Lazlo to lay out the grisly mythology of the real vampiric evil at hand, much to the Dr’s disbelief: “That’s a nauseating thought”. And then, as if to illustrate the theorising, Alucard materialises in a milky mist to threaten them both. Only now is Brewster fully convinced that Frank was right about the powers of the cuckolding Count. Meanwhile Frank is accorded a ghostly visit of his own by Kay in jail, whose conscience overcomes her vampire Svengali and a light snacking on Frank’s blood enough to urge him to destroy her master’s grave. Then the two of them can be immortal together as the undead. Wisely, Frank concentrates on the first mission and burns the Count’s sacred coffin before him. This is the one moment where Chaney is affecting in his portrayal. His fatal witnessing of the sunrise as its rays bathe his face shows us the inner torment that was his greatest strength as an actor. How much better the film might have been if his role was conceived with that forlorn, yearning quality - as for example Klaus Kinski brought strikingly to Herzog’s Nosferatu (1979). Frank must of course suffer his own soul-crushing despair in knowing that he must take the life of Kay the same way to ensure her eternal peace. 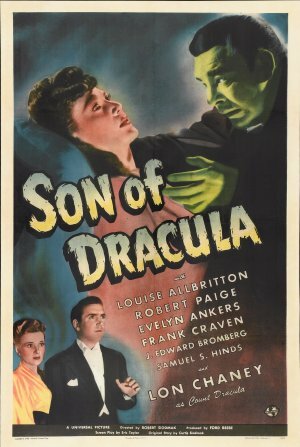 As he watches the flames consume his love, fans of the Universal horror monsters would soon come to know the same feeling as their beloved creatures would go up in the fiasco flames of House of Frankenstein (1944) and House of Dracula (1945).